The night before the three mile race, Pam Morrell Administrator of Wexford House, a DePaul Senior Living Community in Denver, North Carolina had difficulty falling asleep. On Saturday, October 17, she eagerly awoke with great hope for the 2015 Komen North Central Alabama Race for the Cure, an event which raises awareness and funds for the fight against breast cancer, celebrates breast cancer survivorship and honors those who have lost the battle with the disease. A breast cancer survivor herself, Morrell lost her mother on November 13, 2010 to the disease. Morrell has been cancer free for four years. 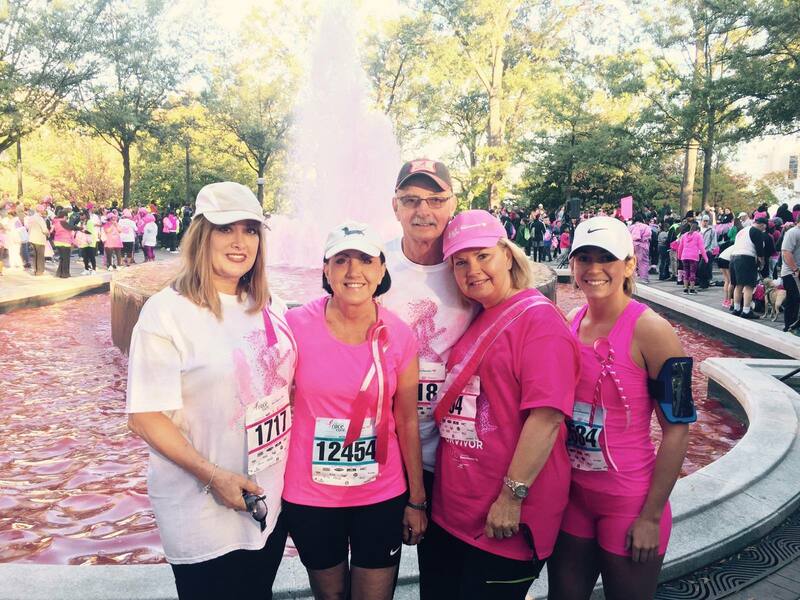 She along with her husband Rick, her sisters Beverly Seeley and Dianne Tucker, and her niece Madeline Marie Seeley, aka MiMi, participated in the Race for the Cure in Birmingham, Alabama. In memory of Morrell’s mother Madeline Underwood, she and her sisters wore their mother’s name. Morrell’s husband Rick and her niece MiMi Seeley, wore Morrell’s name in honor of her as a breast cancer survivor. As over 9,000 children, teenagers and adults of all ages joined together in Linn Park, Morell donned the bright pink shirt given specifically to breast cancer survivors. Suddenly she felt different. 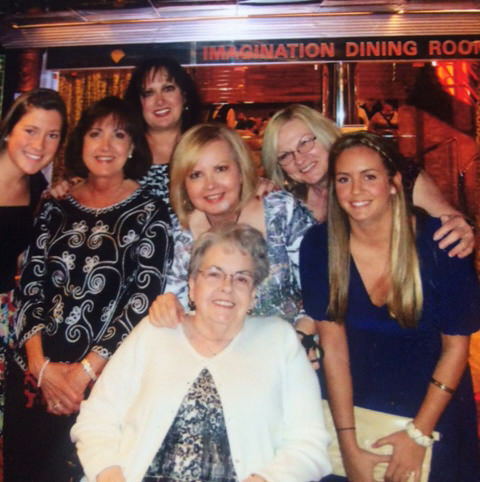 “Then I realized I was being congratulated for being a survivor; a special honor,” she said. Morrell was among over 1,000 participants in the “Survivors Parade,” folks celebrating anywhere from 1 to 35-plus years of being cancer-free. Next up was the race. As Morrell lined up at the starting line with her husband, sisters and niece, she got a surge of energy. Morrell said it is no longer difficult for her to share her story of survival because she wants others to know they are not alone. Throughout the walk, Morrell prayed for healing, strength and blessings of others.